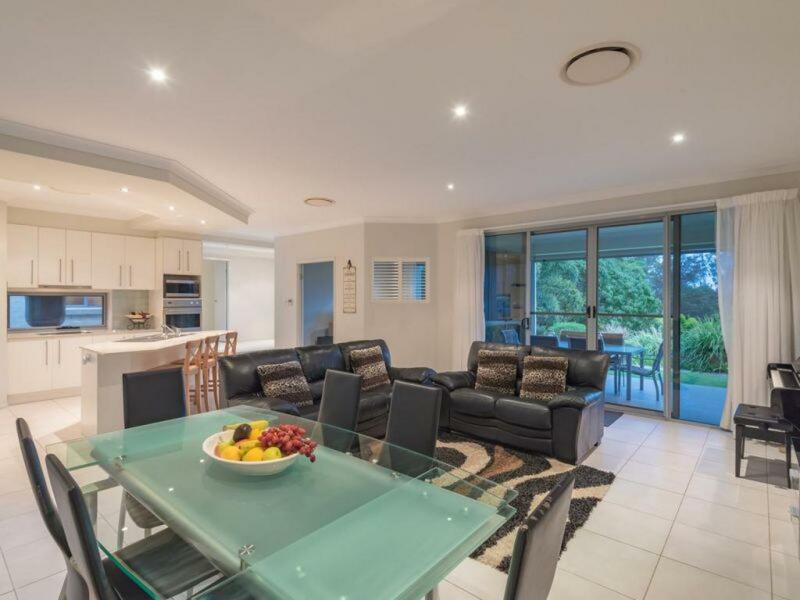 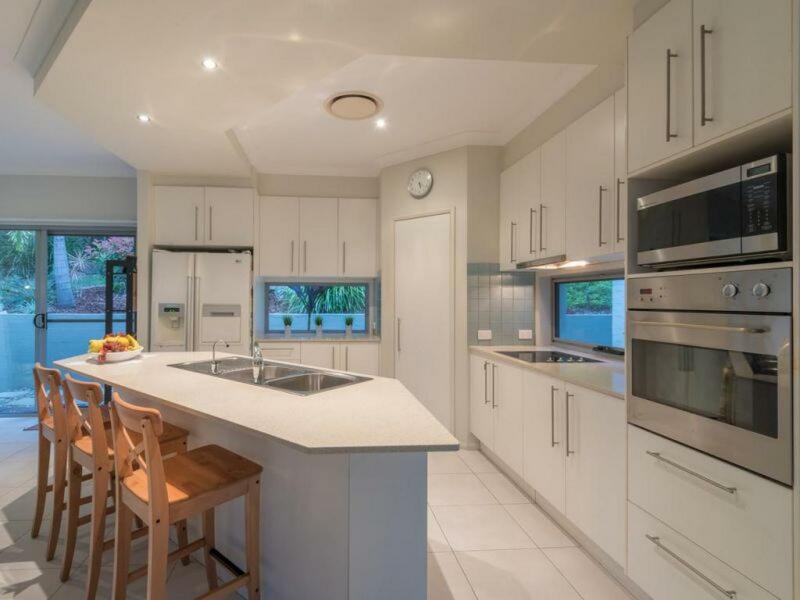 Nestled in the highly sought after "Golden Triangle" bounded by the elite properties of Lone Hand Lane, this beautifully landscaped and immaculately presented family home will immediately impress. As you pass through the automated electric gate and drive up the brand new, palm lined driveway, to your right is a beautiful duck pond to the left a manicured grassy knoll featuring a magnificent Bowen mango tree and encircled by fruit trees, undulating ground covers and shrubs with mature natives abutting the fence-line for shade and privacy. 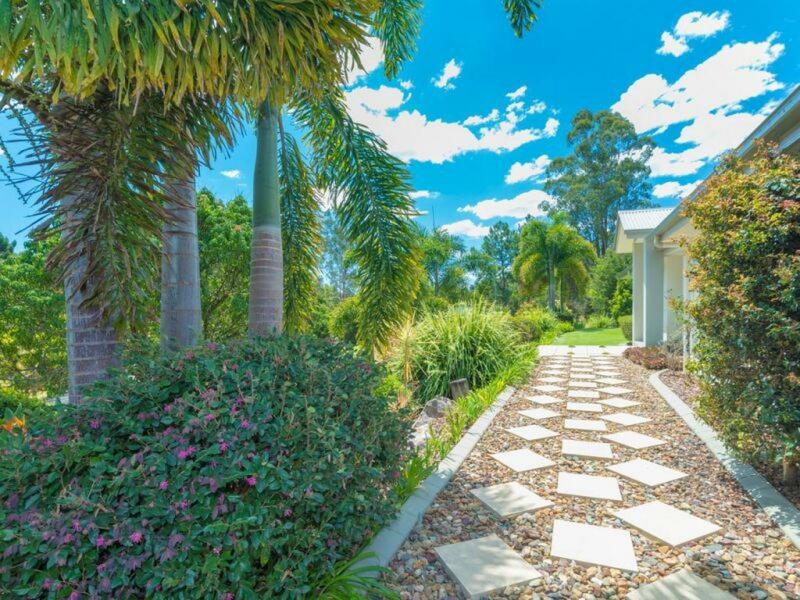 Architectural details abound in this carefully designed home. 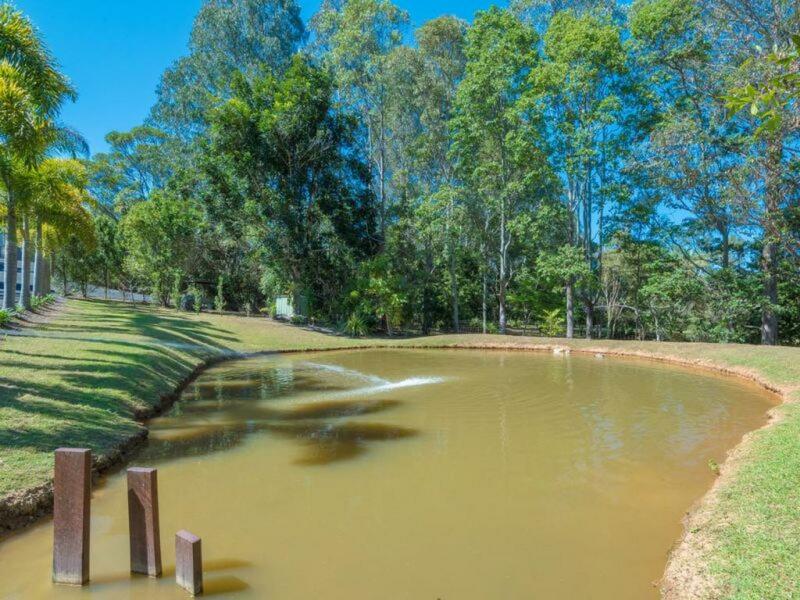 You enter through an imposing pivoting door into a light filled lobby - augmented with a large water feature which divides the house to the left living and dining, to the right sleeping and utilities. 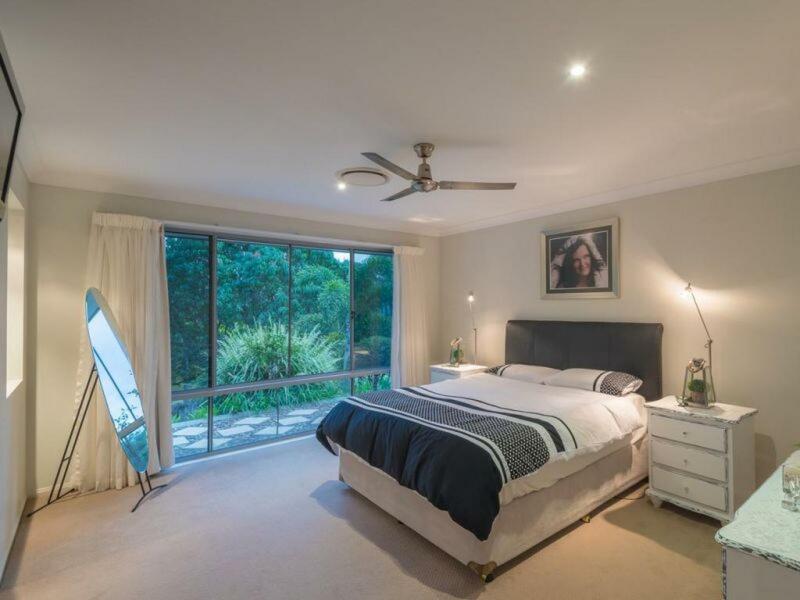 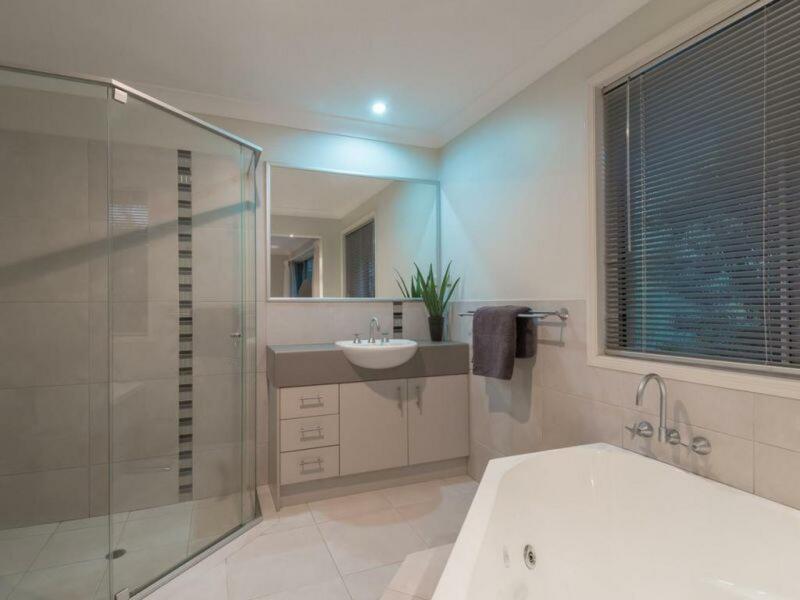 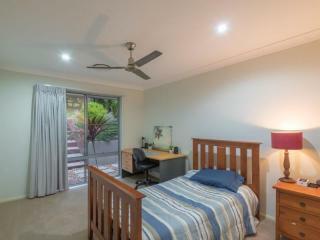 The master bedroom leads with a walk in robe and resort style en-suite and spa, in addition to 2 generous double bedrooms and a fourth bedroom or home office (all bedrooms are data cabled and the home is NBN connected). 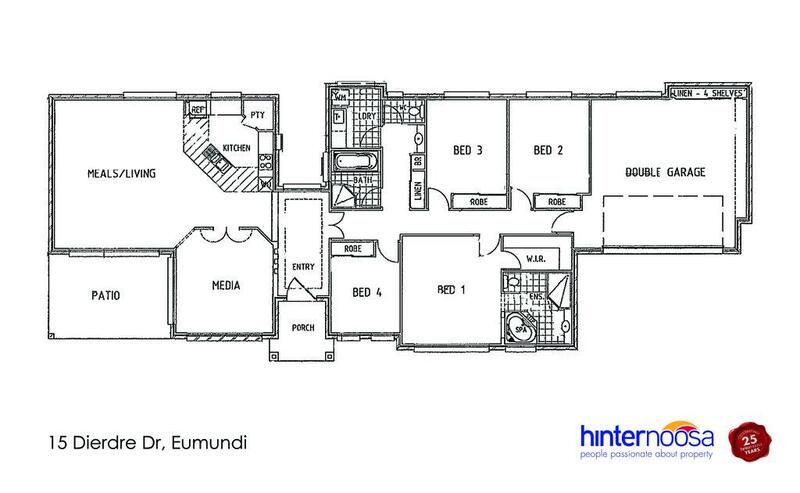 This wing also includes laundry, family bathroom with separate toilet and vanity room plus direct access to the oversized double car garage. The living spaces are anchored around a chef's kitchen which pivots to the open plan formal living and dining space, which then connects to a north facing covered alfresco and BBQ area. 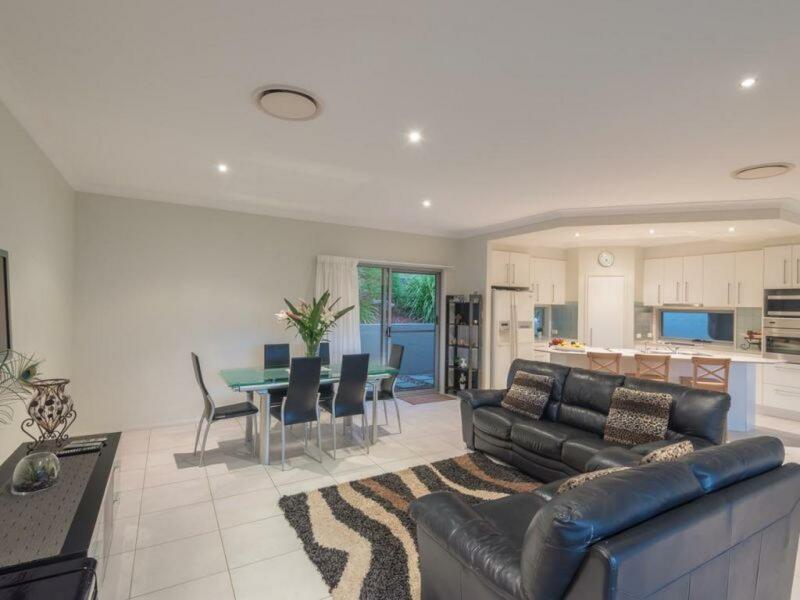 Opposite the kitchen is a large, relaxing media room - that can be closed off if you're hosting a dinner party and want the kids to amuse themselves and not your guests! 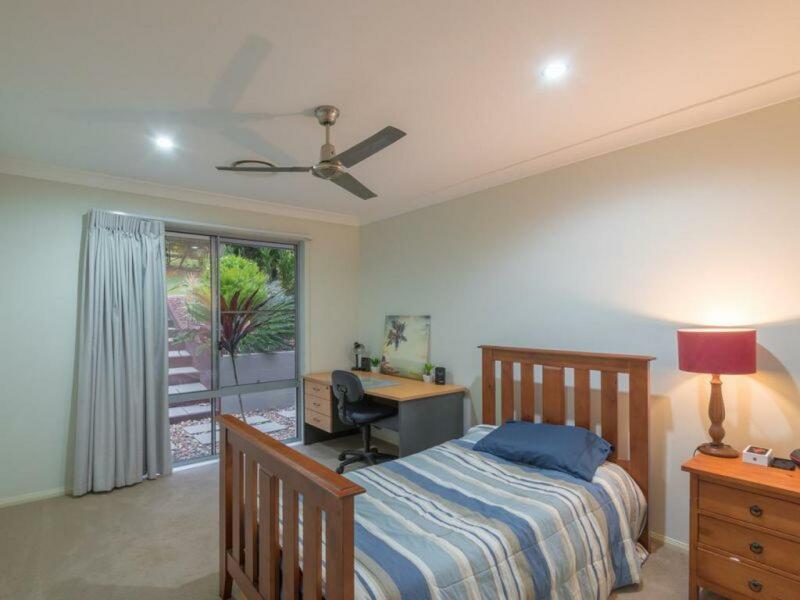 With a delightful outlook from every room, the house boasts 9 foot ceilings throughout as well as efficient, fully ducted Daiken air conditioning (for those rare days when there is no cooling hinterland breeze). 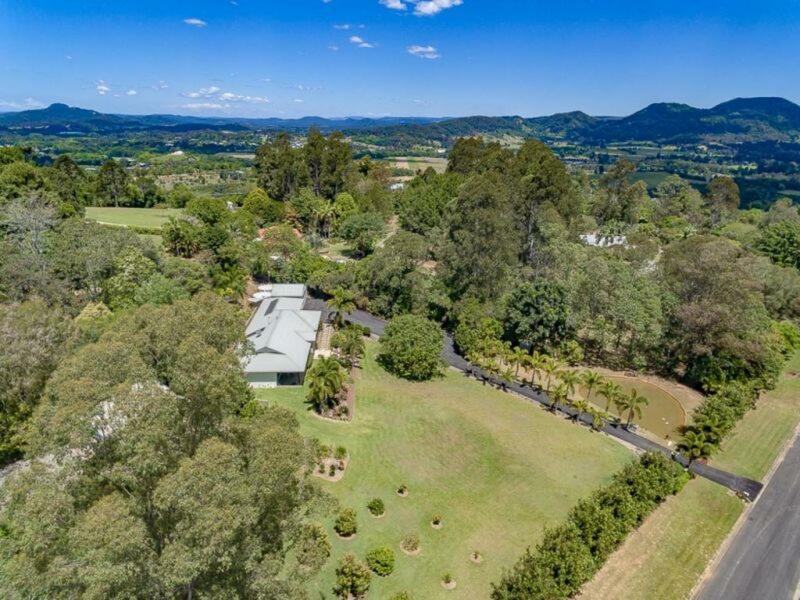 A fully insulated 7x6 metre colorbond shed, ecosafe septic, established vege gardens, a mini orchard, Cooroy mountain spring aquifer bore, 2 x 5,000 gallon rainwater tanks, 3 phase power, 1.5kW solar panels with inverter, chook sheds and storage a-plenty complete this family sanctuary. 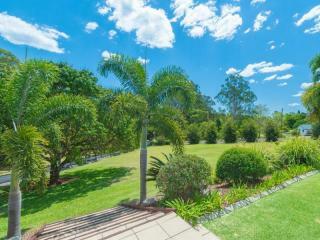 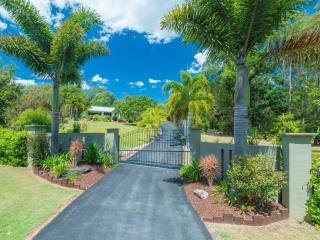 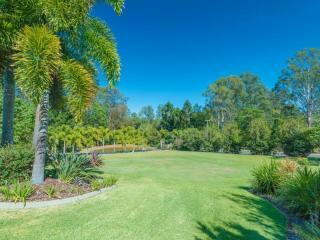 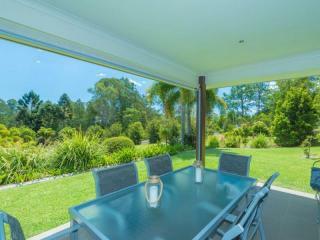 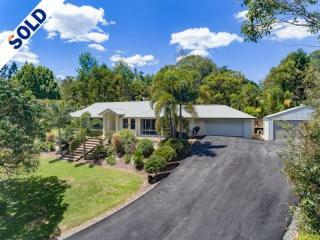 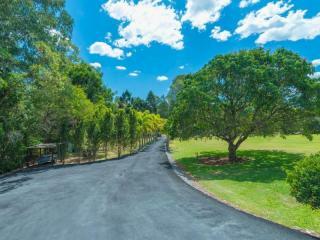 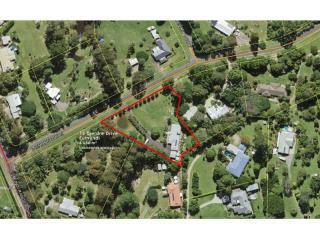 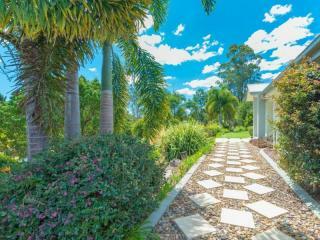 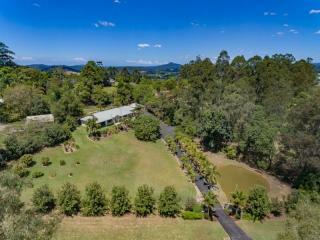 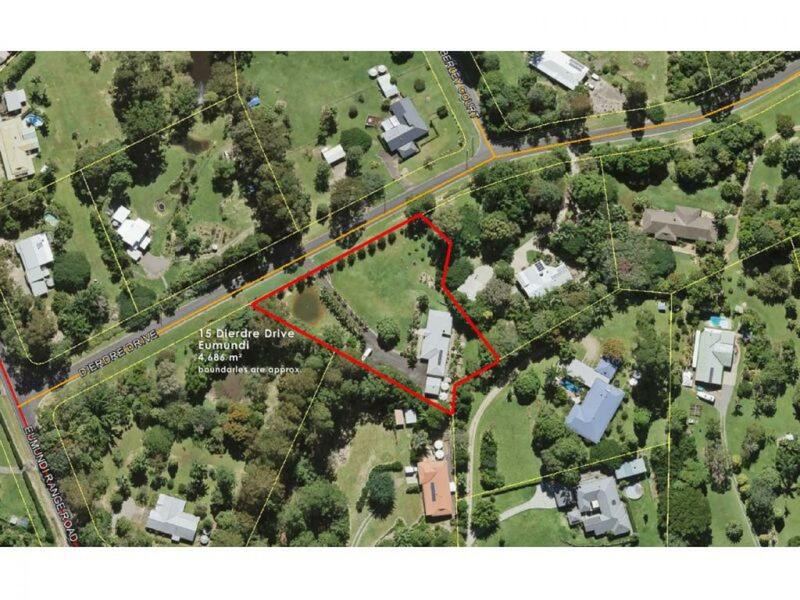 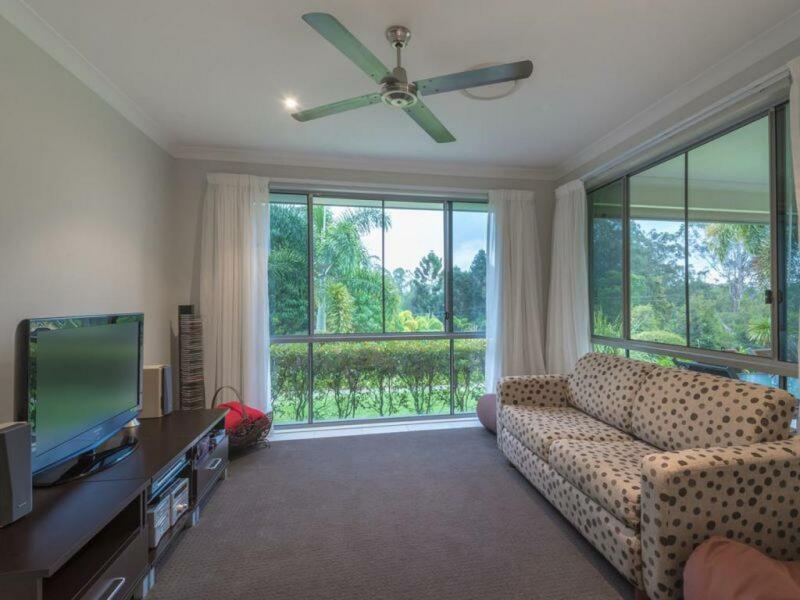 You'll enjoy 1.15 fully dog-fenced acres, conveniently located halfway between the bustling hinterland township of Cooroy and the rustic village delights of Eumundi with its world famous artisan markets. 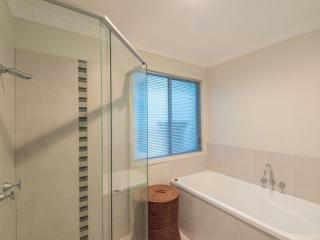 And, just 20 minutes drive to the world-class beach destination of Noosa Heads.